Exciting contests where you win exclusive movie merchandise. Receive monthly E-Newsletter - that gives you all the juice, the movie gossip, the latest at PVR Director's cut, cool contests and a whole lot more The best part of all - you get all of the above absolutely FREE, so what are you waiting for? Get cracking, register now! 5 Simple Steps To Buy Tickets Online. Step 1. Go to FREE REGISTRATION, submit details & your ID is activated! If already a member then go to MEMBER ZONE and LOGIN. You need to be a registered online member to avail of the ticket booking facility. Please remember your user name and password for all future bookings. Step 2. Click on MOVIES subsection NOW PLAYING You can click on the movie names to view details. Step 3. From the top band SELECT movie and date, preferred show timing and the number of tickets, category. Step 4. SUBMIT! Check ticket details and even choose the seats of your choice. Enter your payment mode details and your booking is complete! Step 5. NOTE your Transaction ID. It must be mentioned at the time of ticket collection at the cinema counter. Do Note: Tickets must be booked at least 2 hours before the show. Charges For Booking Tickets Online? Convenience fee is charged for booking tickets online at on www.pvrdirectorscut.com. You have to collect your tickets from the booking counter prior to the show using your Transaction ID & Credit Card used for same. Can we carry any belongings? Please do not carry any camera, laptop, electronic items, shopping bags, outside eatables, chewing gum, helmet, cigarettes and other tobacco items inside the cinema premises as these are strictly NOT allowed. PVR Director's Cut does not have a baggage facility at the cinema premises hence please make alternate arrangements for all these restricted items. PVR Director's cut will not be responsible for loss of any of these items. YES, for movies that will start playing the following week (from Friday). Go to NEXT CHANGE section, click on your preferred show timing for a particular movie to start the booking process. We ask our users to register when they use the pvrdirectorscut.com site and services (collectively, the "Service"). Through our online registration process, we collect a variety of information about the user, which may include, among other things, name of the person registering, location, gender, phone number, email address, user name and password. pvrdirectorscut.com may also request and collect other information from time to time. We use the demographic information to enhance your user experience by, among other things, delivering you content that is relevant to your interests. We may use the contact information you provide us to notify you of new services or special deals that we or our partners are offering, to distribute movie related information to you or to conduct surveys or other similar activities. When you register with us, you may choose to opt-out of receiving these notices or mailings from pvrdirectorscut.com at the time of registration. pvrdirectorscut.com does not sell or rent personal information about its customers to any third parties at this time. pvrdirectorscut.com does, however, perform statistical analyses of customer usage in order to measure interest in, and use of, the various parts of the Company's web site, and the Company may share that information with current and prospective advertisers, and other interested third parties. This information is aggregated data only (such as statistics), and contains no personally identifiable information whatsoever. pvrdirectorscut.com strives to protect the personally identifiable information of the users. expressed authorisation of the user to do so the provision of the requested service demands so requirements to comply with the governing law opportunity to add value to the user However, pvrdirectorscut.com may share aggregated statistical information about the use of the pvrdirectorscut.com web site with partners and associates for the purpose of research and analysis. Even in these cases, pvrdirectorscut.com will strive to protect the individual users' personally identifiable information. Please note that pvrdirectorscut.com may sell, share or transfer personally identifiable information about its customers with any successor in interest (e.g. if the Company is sold to a third party). Additionally, in certain cases, pvrdirectorscut.com may be required to disclose your personally identifiable information when the law requires it, or in response to any demand by law enforcement authorities in connection with a criminal investigation, or civil or administrative authorities in connection with a pending civil case or administrative investigation. pvrdirectorscut.com users should also be aware that if they voluntarily disclose personal information in any chat areas or bulletin boards within the pvrdirectorscut.com web site, that information might be collected and disseminated by third-parties, and result in, among other things, unsolicited inquiries, messages, and offers from third parties. This third-party conduct is out of the control of the Company. pvrdirectorscut.com has implemented security measures to protect against the loss, misuse and alteration of the information under our control. We protect the secure areas of our Site with a firewall. Although pvrdirectorscut.com has implemented adequate security measures, the site has contracted Verisign to provide an extra assurance of security. Although, the site is completely virus-free, the User is advised to employ virus scans for extra security, as pvrdirectorscut.com is not liable for any virus picked up at the time of transmission. Note that pvrdirectorscut.com tries its best to collect data from the most authentic source. However, at any stage, pvrdirectorscut.com is not liable for any loss, monetary or otherwise, resulting from the usage of their data. 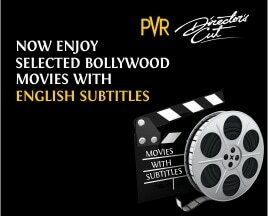 PVR Director's Cut is a registered trademark of PVR Limited. You agree that you are only authorized to visit, view and to retain a copy of sections/pages of the PVR Director's Cut Website for your own personal use, and that you shall not duplicate, download, publish, modify, hack, tamper with, damage the contents in any manner or otherwise distribute the information, data, software, photographs, graphs, videos, typefaces, graphics, music, sounds, and other material on the PVR Director's Cut Website (collectively "Content") for any purpose other than to review movies and promotional information, or to purchase tickets for your personal use, unless otherwise specifically authorized by PVR Director's Cut to do so. You also agree not to deep-link (linking through any other page other than through the PVR Director's Cut Website homepage) to the PVR Director's Cut Website for any purpose, unless specifically authorized by the system administrator of the PVR Director's Cut Website to do so. Except as expressly authorized by the PVR Director's Cut Website, you agree not to sell, license, rent, modify, distribute, copy, reproduce, transmit, publicly display, publicly perform, publish, adapt, edit, or create derivative works from such Content. Notwithstanding the above, if no specific restrictions are displayed, you may make copies of selected portions of the Content, provided that the copies are made only for your personal, non-commercial use and provided you keep intact all copyright and other proprietary notices relating to the same. Systematic retrieval of data or other Content from the PVR Director's Cut Website to create or compile, directly or indirectly, a collection, compilation, database or directory without written permission from PVR Director's Cut Website is prohibited. In addition, use of the Content or materials for any purpose not expressly permitted in these Terms is prohibited. You agree that you shall not upload, post, reproduce, or distribute for commercial purposes any materials or design, text or graphics or Content on the PVR Director's Cut Website and further you agree that you shall not reproduce or transmit the same, in any form or by any means, electronic or mechanical or otherwise, including by photocopying, facsimile transmission, recording, re-keying or using any information storage and retrieval system without the express written permission of PVR Director's Cut. Permission may be granted only at the sole discretion of PVR Director's Cut. You will receive a password and account designation upon completing the registration process and you agree that with respect to your account and password: (1) You are responsible for maintaining the confidentiality of your password and account are fully responsible for all activities that occur under your password or account. (2) You will immediately notify the PVR Director's Cut Website of any unauthorized use of your password or account or any other breach of security; and shall be fully liable for all use of your account, including any unauthorized use of your account by any third party including the content of your transmissions through the PVR Director's Cut Website. (3) Agree that you are entirely responsible for any and all activities that occur under your account. (4) Will ensure that you diligently exit from your account at the end of each session. (5) PVR Director's Cut will not be liable for any loss or damage arising from any misuse of your password by any person due to any reason whatsoever. (6) Understand and acknowledge that PVR Director's Cut cannot and will not be liable for any loss or damage arising from your failure to comply with these requirements. Access and use of password protected and/or secure areas of the PVR Director's Cut Website is restricted to authorized users only. Unauthorized individuals attempting to access these areas of the PVR Director's Cut Website shall be liable to criminal action and/or such other action as per applicable laws. By posting information in or otherwise using any communications service, message board, newsgroup, software library, or other interactive services that may be available to you on or through the PVR Director's Cut Website, you agree that you will not upload, post, or otherwise distribute or facilitate distribution of any content including text, communications, software, images, sounds, data, or other information that: is unlawful, threatening, abusive, harassing, defamatory, libelous, deceptive, fraudulent, invasive of another's privacy, tortious, contains explicit or graphic descriptions or accounts of sexual acts (including but not limited to sexual language of a violent or threatening nature directed at another individual or group of individuals), stalk, threaten or otherwise violate the legal rights of others or otherwise violates these Terms; victimizes, harasses, degrades, or intimidates an individual or group of individuals on the basis of religion, gender, sexual orientation, race, ethnicity, age, or disability; infringes on any patent, trademark, trade secret, copyright, right of publicity, or other proprietary right of any person or other entity; constitutes unauthorized or unsolicited advertising, junk or bulk e-mail (also known as "spamming"), chain letters, any other form of unauthorized solicitation, or any form of lottery or gambling; contains software viruses or any other computer code, files, or programs that are designed or intended to disrupt, damage, or limit the functioning of any software, hardware or telecommunications equipment or to damage or obtain unauthorized access to any data or other information of any third party; or impersonates any person or entity, including any employee or representative of PVR Director's Cut; create a false identity or forged e-mail address or header, or otherwise attempt to mislead others as to the identity of the sender or the origin of the message; transmit any material that contains viruses, trojan horses, worms, time bombs, cancelbots, or any other harmful or deleterious programs; violate any laws including an acts, rules, guidelines or regulations, regarding the transmission of technical data or software through the use of the Services provided at or by the PVR Director's Cut Website; advertise or offer to sell or buy any goods or services for any non-personal purpose; interfere with or disrupt networks connected to the Services provided by the PVR Director's Cut Website or violate the regulations, policies or procedures of such networks; you also agree that you will not harvest or collect information about the Users or members of the PVR Director's Cut Website or use such information for any purpose including transmitting or facilitating transmission of unsolicited bulk electronic e-mail or communications, without their consent. You further agree that you will not knowingly solicit or collect personal information from a child 12 years old or younger without appropriate prior verifiable parental consent. PVR Director's Cut is not responsible for screening, policing, editing, or monitoring the content posted by Users of communications services, message boards, newsgroups, software libraries, or other interactive services that may be available on or through the PVR Director's Cut Website. If notified of allegedly infringing, defamatory, damaging, illegal, or offensive content, the PVR Director's Cut Website may investigate the allegation and determine in its sole discretion whether to remove or request the removal of such content. Notwithstanding the foregoing, PVR Director's Cut does not assure prompt editing or removal of questionable content after online posting. Accordingly, you understand and acknowledge that PVR Director's Cut shall not be liable for any action or inaction with respect to conduct, communication, or Content on the PVR Director's Cut Website. The Website may contain links to other Websites( "linked sites") the linked sites are not under the control of PVR Limited and PVR Limited shall not be responsible for the contents of any such linked site. These links are provided to you as part your convenience. Linked sites may contain information or material that you may find inappropriate or offensive. Should you, via linked sites contained on the PVR Director's Cut Website, view content that is not provided by the PVR Website, you do so at your own risk, as such content will not have been developed, checked for accuracy, or otherwise reviewed by the PVR Director's Cut, You understand and acknowledge that the PVR Director's Cut Website is not responsible for the accuracy, copyright compliance, legality, decency, or any other aspect of the content of such third party/ Linked sites, nor for any damages or losses caused by any delays, defects or omissions that may exist in the services, information or other content provided in such third party site, whether actual, alleged, consequential or punitive nor does PVR Director's Cut assume the responsibility of provision of content on or links to such third party/ Linked sites. The inclusion of such a link does not imply endorsement of third party/ Linked sites by PVR Director's Cut or its Representatives. You understand, acknowledge and agree that the PVR Director's Cut Website is the copyrighted property of PVR Limited, in the absence of any contrary indication. You understand and acknowledge that the PVR Director's Cut Website and its Content is protected by copyrights, trademarks, patents, trade secrets, or other proprietary rights and laws, and that these rights are valid and protected in all forms, media, modes of distribution, and technologies existing now or hereinafter developed. All Content and source codes is copyrighted individually or as a collective work under applicable copyright laws and treaties, and PVR Director's Cut owns all copyrights in the selection, coordination, arrangement, style of presentation, as now presented or as presented in the future, and enhancement of such Content and as databases pursuant to applicable laws and treaties. In preparing the PVR Director's Cut Website, we have endeavored to offer current, correct and clearly expressed information. However, since inadvertent errors of omission and commission can and do occur and since relevant laws and regulations often change, the Content and provision of Services may be neither current nor accurate. Further, the Content and information contained on the PVR Director's Cut Website is intended to provide general guidance on matters of interest. Nothing on the PVR Director's Cut Website constitutes professional advice, nor does any information on this PVR Website constitute a comprehensive or complete statement of the issues discussed. ALL CONTENT AND THE SERVICES INCLUDED AT OR AVAILABLE THROUGH THE PVR WEBSITE ARE PROVIDED ON AN "AS IS" AND "AS AVAILABLE" BASIS FOR YOUR USE. THE CONTENT AND SERVICES ARE PROVIDED WITHOUT WARRANTIES OF ANY KIND, EITHER EXPRESS OR IMPLIED, INCLUDING, BUT NOT LIMITED TO, IMPLIED WARRANTIES OF MERCHANTABILITY, FITNESS FOR A PARTICULAR PURPOSE, OR NONINFRINGEMENT. PVR, DOES NOT WARRANT THAT THE CONTENT OR ANY SERVICE IS ACCURATE, RELIABLE OR CORRECT; THAT THE PVR WEBSITE WILL BE AVAILABLE AT ANY PARTICULAR TIME OR LOCATION; THAT ANY DEFECTS OR ERRORS WILL BE CORRECTED; OR THAT THE CONTENT IS FREE OF VIRUSES OR OTHER HARMFUL COMPONENTS. YOUR USE OF THE SITE IS SOLELY AT YOUR RISK. The User agrees that he / she must evaluate, and bear all risks associated with, the use of any Content, including any reliance on the accuracy, completeness, or usefulness of such Content. PVR Director's Cut shall not be liable for any decision made or action taken by the User or others based upon reliance on information or materials obtained through use of the Service. We take cognizance of the fact that the User is acting in his or her own best interest and transacting at his or her own risk. Prior to the execution of any transactions the User should make himself / herself aware of all the terms and conditions governing the transaction. All transactions on the PVR Director's Cut Website, monetary and otherwise, are non-refundable, non-exchangeable and non-reversible, save and except in the event of proven gross negligence on the part of PVR Director's Cut or its representatives, in which event the User agrees that the User shall only be entitled to a refund of the amount actually paid by the User and actually received by PVR Director's Cut with respect to the purchase of tickets/ updates of member accounts/ purchase of virtual cards / gift voucher amounts / whether through the use of virtual card, credit card charge, card debit card, smart card or cash, which amount shall constitute liquidated damages. PVR Director's Cut or its Representatives shall not be liable for refund of any amount paid for purchasing tickets on line or availing any other Services on the PVR Director's Cut Website, save and except in the event of proven gross negligence on the part of PVR Director's Cut or its Representatives, then PVR Director's Cut or its Representatives, as the case may be, shall pay liquidated damages amounting to the actual amount paid by the User and actually received by PVR Director's Cut with respect to the purchase of tickets/ updates of member accounts/ purchase of virtual cards / gift voucher amounts / whether through the use of virtual card, credit card charge, card debit card, smart card or cash, which amount shall constitute liquidated damages. UNDER NO CIRCUMSTANCES SHALL PVR DIRECTOR'S CUT OR ITS REPRESENTATIVES BE LIABLE FOR ANY DIRECT, INDIRECT, PUNITIVE, INCIDENTAL, SPECIAL, OR CONSEQUENTIAL DAMAGES THAT RESULT FROM THE USE OF, OR INABILITY TO USE, THE PVR WEBSITE. THIS LIMITATION APPLIES WHETHER THE ALLEGED LIABILITY IS BASED ON CONTRACT, TORT, NEGLIGENCE, STRICT LIABILITY, OR ANY OTHER BASIS, EVEN IF PVR HAS BEEN ADVISED OF THE POSSIBILITY OF SUCH DAMAGE. BECAUSE SOME JURISDICTIONS DO NOT ALLOW THE EXCLUSION OR LIMITATION OF INCIDENTAL OR CONSEQUENTIAL DAMAGES, PVR'S LIABILITY IN SUCH JURISDICTIONS SHALL BE LIMITED TO THE EXTENT OF THE AMOUNT ACTUALLY PAID FOR BY ANY USER WHILE AVAILING ANY OF THE SERVICES ON THE PVR WEBSITE. 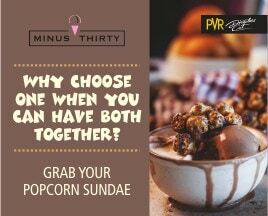 The PVR Director's Cut Website features a lot of content that is provided by third parties. PVR Director's Cut, its Representatives or any of its data or content providers shall not be liable for any errors or delays in the content, or for any actions taken in reliance thereon. In the event of the User suffering any loss or damage pursuant to reliance on such information and/or Content on the PVR Director's Cut Website or any third party website or due to the use of services, PVR Director's Cut or its Representatives shall not be liable in any manner and the User shall use such information at its sole risk. This limitation of liability applies whether the alleged liability is based on contract, tort, negligence, strict liability, or any other basis. The Content may vary depending upon the User's browser limitations. PVR Director's Cut, or its Representatives, including content providers assume no responsibility for the timeliness, deletion, mis or non delivery or failure to store any User communications or personalization settings or deliveries. No action should be taken or omitted to be taken in reliance upon information on the PVR Director's Cut Website. Users should obtain specific professional advice concerning specific matters and PVR Director's Cut or its Representatives accepts no responsibility for any loss resulting from reliance on any information or Content contained on the PVR Director's Cut Website or in respect of any information on any other sites to which the PVR Director's Cut Website may be linked. You expressly agree that PVR Director's Cut or its Representatives are not responsible or liable for, and shall be released and held harmless from: telephone, electronic, hardware or software program, network, Internet, or computer malfunctions, failures, or difficulties of any kind; any conditions or events of force majeure or beyond the reasonable control of PVR Director's Cut or the PVR Director's Cut Website that may cause any or all of the Services to be disrupted or corrupted; "Force Majeure" shall mean and includes without limitation riots, floods, earthquake, storm, terrorist activities or actions, war, act of God, civil disturbance of any nature whatsoever, any governmental or municipal action or the failure of any telephonic or electronic equipment hardware or software programmes, network, Internet, virus corruption or other failure or malfunctions of any kind or any other event analogous to the foregoing. any printing or typographical errors in any materials or Content associated with or with respect to any or all of the Services; any and all losses, damages, rights, claims and actions of any kind in connection with or resulting from participation in any or all of the Services or the acceptance, possession, or use of any prize or prizes with respect to any Service, including without limitation, personal injury, death, and property damage, and claims based on publicity rights, defamation, or invasion of privacy. None of the above shall be taken to exclude liability for fraud. These Terms and the relationship between you and PVR Director's Cut and its Representatives shall be governed by the laws of India. You and PVR Director's Cut agree to submit to the personal and exclusive jurisdiction of the courts located Delhi, India. The failure of PVR to exercise or enforce any right or provision of the Terms shall not constitute a waiver of such right or provision. If any provision of the Terms is found by a court of competent jurisdiction to be invalid, the you agree with us that the court should endeavor to give effect to the intentions as reflected in these Terms, and all the provisions of these Terms shall remain in full force and effect. This Agreement represents the entire understanding between you and PVR Director's Cut regarding your use of the PVR Director's Cut Website and Services provided, whether on line or offline). PVR reserves the right to change any information on the PVR Director's Cut Website including but not limited to revising and/or deleting Services, features Content, or other information without any prior notice to you. Website security- You agree not to corrupt ( or attempt to corrupt) any data or to circumvent ( or attempt to circumvent) any of the security safeguards of PVR Limited or any of its suppliers. You acknowledge that the internet is not entirely secure and PVR Limited shall take all required steps to safeguard the security of any credit/ debit card and any similar card information you imparts through encryption methods, PVR Limited shall not be responsible / liable for any damage that you may suffer as a result of the loss of confidentiality of any such information. PVR Limited makes no representation that materials on this site are appropriate or available for use in locations outside India. This site is not intended for distribution to, or use by, any person in any jurisdiction where such distribution or use is contrary to local law or regulation. Those who choose to access this site from other locations do so on their own initiative and should inform themselves about and observe any such laws or regulations and consult a professional if in doubt as to the meaning of any part of the content of this site. 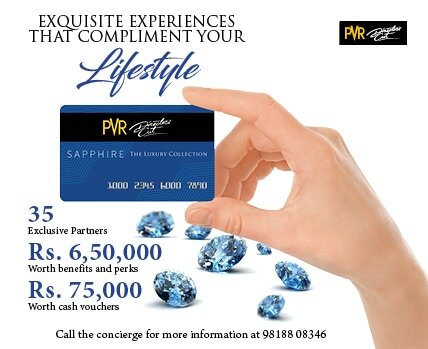 SPECIAL OFFERS, PROMOTIONS, COMPETITIONS ("PROMOTIONS"): Any Promotions may be subject to individual terms and conditions made available at the time of such event at PVRCinemas website. Promotion prizes must be taken intact as offered and are not exchangeable or redeemable for cash. If the winner of a major prize is under 18, the prize will be awarded to that person's parent or guardian. If a prize is unavailable, PVR Limited reserves the right to substitute a prize of equal or greater value. This Agreement represents the entire understanding between you and the PVR Limited regarding your relationship with the PVR Limited and supersedes any prior statements or representations. Your access to, and use of, this website and any transactions made on this website will be governed by these Terms and Conditions. By using this website, you represent that you have read, understood and have accepted these Terms and Conditions and agree to be bound by them. 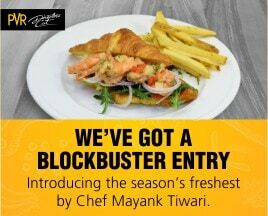 PVR Director's Cut is a brand working under the head of PVR Limited. Customer includes all the patrons of PVR Director's Cut and also includes the user defined above. Cinema tickets are sold by PVR Director's Cut and can be purchased by the user via the online booking system using credit/debit cards. A nominal convenience fee shall be charged from each user over and above the prescribed value of the ticket. This convenience fee shall be in lieu of the convenience given to the user by PVR Director's Cut and shall not form a part of the value of the ticket. The user must provide PVR Director's Cut with the correct information pertaining to the cardholders name, card type, the card number, the card expiry date and the security code on the back of the card (if any) in order to make payment to PVR Director's Cut. The user shall be responsible for the correctness of the information provided and shall not be indemnified if the information is wrongly entered whether intentional or unintentional. The user must ensure the correctness of all details of the booking before finally booking their tickets as PVR Director's Cut will accept no responsibility and will not issue a refund for wrong bookings that are the fault of the user. If the user experiences problems with the booking process, they are to call the helpline number of PVR Director's Cut specified on the booking page. The Portal shall not cancel any bookings once the transaction is completed. Once the booking has been processed, the user will receive a confirmation e-mail to their e-mail address with all the relevant details of their booking. PVR Director's Cut is not responsible and will not issue a refund to the user for selecting the wrong tickets or if the user does not meet the minimum age requirements for that particular film. The online booking is non transferable and cannot be further sold. To collect the tickets the user must present the credit/debit card that was used to book the tickets in that particular cinema. The user has to carry the print out of the confirmation mail. The user may procure the ticket from the automatic ticket collection points or they can present the print out to the PVR Director's Cut representative at the ticket counter of the concerned Cineplex. The user shall also carry proof of age for movies certified 'A'. 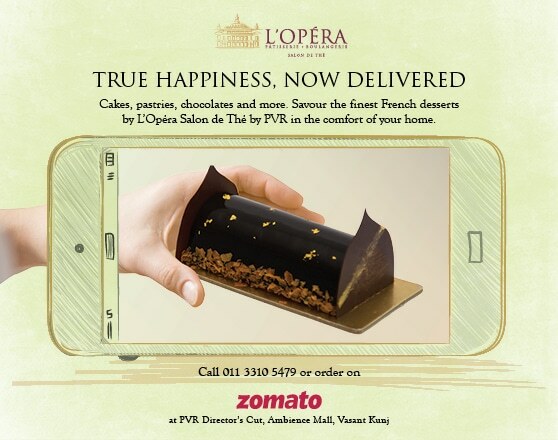 Unless specified otherwise User is subscribed to PVR Director's Cut & PVR Partner promotions related communication through SMS & Email. 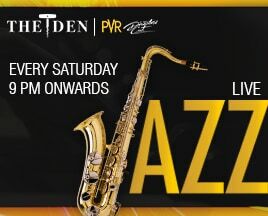 The booking is valid only for the viewing of the film at PVR Director's Cut. The booking shall become valueless and non refundable if not used on the date specified on its face. If, in the opinion of a representative of the PVR Director's Cut, the user is in breach of these Online Booking Terms or is under the influence of drugs or alcohol, or that it is necessary for the safety or comfort or security of other customers or for the protection of property, the representative reserves the right to refuse the entry or request the Customer to leave the multiplex and may if necessary physically remove the Customer from the multiplex or physically restrain the Customer. PVR Director's Cut is required to abide by and enforce the age restrictions as specified by the Law for the time being in force. In the event that an authorised PVR Director's Cut representative is of the opinion that the user does not meet the minimum age requirement and the user cannot provide photographic proof that they are of the required age, PVR Director's Cut will not permit entry to that performance or film. PVR Director's Cut will do everything possible to ensure the show and operating times of the cinema are true to the advertisements. However due to circumstances beyond PVR Director's Cut's control there may be times that a film has to be cancelled or shown at a different time. In this instance the user may be given a refund of the ticket only. The mode of refund shall be at the sole discretion of PVR Director's Cut. If any show is cancelled or cancellation is done from the management of PVR Director's Cut then the formalities for the same will be taken in to consideration. The user agrees not to bring in any action against PVR Director's Cut in such instance. The user who has booked for a movie certified as 'A', must provide PVR Director's Cut with the relevant proof of entitlement when the tickets are being collected or upon entry to the cinema. Before entering a promotion, contest read these rules and the site's terms, conditions and privacy information. by entering the promotion, contest you agree to comply with the rules and the site's terms, conditions and privacy information. Contest and promotions are open for participation of all entrants who are 18 years of age or older at the time of entry in the contest. Directors, officers, employees, contractors, and agents of PVR Limited ( hereinafter referred as" Company") and/or its associate, subsidiary or joint ventures, agencies, dealers, retailers, sponsors and any company associated with the promotion/ contest, employees and members of their immediate families (spouses, parents, siblings, and children) are not eligible to participate in this contest. This contest is valid for resident citizens of India Only. Each Promotion will contain a specific time period/ promotion period within which entries will be accepted. The Promotion Period for each Promotion shall be posted on the Company's website with that particular Promotion. Only entries received during the Promotion Period will be accepted and entertained. An individual may enter a Promotion/contest once only. The use of any automated launching or entry software or any other means that permits an entrant to automatically enter repeatedly or in excess of the entry limitations is prohibited. Company is not responsible for lost, late, illegible, stolen, incomplete, invalid, unintelligible, misdirected, technically corrupted or garbled entries, which will be disqualified, or for problems of any kind whether mechanical, human or electronic. Proof of submission will not be deemed to be proof of receipt by Company. All entries must be in English. The selection of contest prizes shall be the exclusive prerogative of Company and Company reserves the absolute right to add or modify the terms and conditions of the present Contest, selection of prizes without giving any notice to the participants and also reserves the absolute right to cancel any part or all of the prizes. Further if the specified prize is unavailable due to unforeseen circumstances Company may substitute another prize of similar or equal value. Company shall conduct the lucky draw (s) as per its sole discretion to announce the winner of the contest. No correspondence, queries on the method/ manner of conducting the luck draw(s) shall be entertained by Company from any party/ individual in any circumstances whatsoever. The winner name(s) shall be intimated individually either through phone call or SMS on the mobile number given by the participant or any other mode as decided by the Company with that particular Promotion/ contest. If in the course of the contest, prior to confirming the winner's identification and address, the phone line drops out or becomes disconnected for any reason, Company shall not be responsible for awarding such prize to that caller and will go to next available caller. The winner shall be responsible to provide the certified ID proof , residence proof, PAN details as and when demanded by the Company. All prizes must be collected with in 60 days of wining or as mentioned with that particular Promotion. Company shall not notify the winner about the time remaining it shall be the sole responsibility of the winner(s) to claim their prize(s). All unclaimed prizes after the 60 days from wining date will be forfeited/ disposed of by Company. Further in the event winner choose not to accept / claim the prize then it may be awarded to the next winner/ runner-up at the sole discretion of the Company. Prizes shall be delivered at the address given by the participants, in the event of time based contests, which include events/ screening of movies( cinematographic films)it shall be the sole responsibility of the winner(s) to collect the prize(s) ( passes etc.) from the related screening movie theatre within the specified time with that particular Promotion. Further if winner is unable to provide the Company with sufficient proofs etc. as demanded for identification purpose then Company reserves the forfeit participant (s) / winner claim and further it may be awarded to the next winner/ runner-up at the sole discretion of the Company on the fulfillment of terms as conditions. Winner shall be solely responsible for any additional cost inclusive of transportation, insurance incidental expenses ( if any) to be required to claim/ avail the winning prize. The winner have to bear all the all the applicable tax component as per the Income tax prevailing rules from time to time. 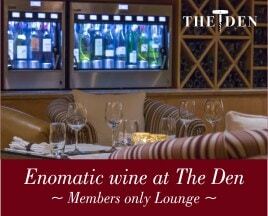 All gift/ prices shall be subject to TDS as per income tax act 1961. Prizes/ gifts are subject to availability ,non- negotiable, non transferable, and not redeemable for cash. The person who originally entered in the contest/ promotion can be awarded the prize. Further no other family members, friends, associate or any other person will be able to participate on other person's behalf in any circumstances whatsoever. By participating in the contest / promotion all winner grants Company to use their names photograph, likeness, voice, prize information, and biographical information for publicity, marketing and promotional purposes for this and other future contests/ promotions and waive any claim of royalty , right or remuneration for such use. Shall always. Information details of various third parties and product on its( Company's) theatre premises or website is for informational purpose only and constitute neither endorsement nor a recommendation. Licenses and warranties , if any regarding the third Party( ies) product/ services shall always bind and take effect between the participant and the third Party . Winner expressly agreed that any claim with respect to third Party (ies) Product/ services as wining prize/ gift including but not limited to defect in manufacturing /quality/ services / item/ warranty shall be raised directly to the third Party(ies) or it supplier directly and Company shall not be responsible in any circumstances whatsoever. Winner also agrees to use the Product/ services at its own risk and responsibility. Company shall not be responsible/ liable in the event of any loss, damage ( including but not limited to direct, indirect or consequential damage) arising from personal injury or death, or loss, or damage to property which is suffered or sustained in connection with the contest/ promotion or the prize(s) gifts. These terms and conditions are governed in accordance with the laws of India. Any Dispute shall be subject to jurisdiction of exclusive courts in Delhi. In addition to above stated general terms and conditions , other conditions specific to the contest may be imposed by the Company, sponsors. Participants are requested to refer to such terms and conditions which may be displayed separately on the relevant contest page. contains inaccurate or fraudulent information. any attempt by any individual to deliberately damage the site or undermine the legitimate operation of the promotion is a violation of criminal and civil laws. in the event such an attempt occurs, company reserves the right to seek damages from such individual to the fullest extent permitted by law. Comments and materials sent to Company including feedback and other communications of any kind as well as submissions of work as an entry in any contest / promotion held on this website or theatre premises, shall be deemed to be non confidential. Further Company shall be free to reproduce, distribute, publicly display such feedback, contest entries without limitations or obligations of any kinds as also to use any ideas, concept, know how or techniques contained in such feedback or contest or entry for any purpose. Company also reserves the right to summarize analyze data that we collect and also reserves the right to publish, distribute , share summaries of the data collected with sponsors or other business partners without limitation or obligations of any kind. These rules may be amended time to time at the sole discretion of Company. Company reserves the right to discontinue the promotion /contest at any stage.